I asked our team of legal experts around the globe to describe the current status of the laws in their respective countries and, in turn, how employers deal with drugs in the workplace. While your company may not be doing business in that country (yet) my quick trip around the world is worth a few minutes of your time. Some countries are dealing with many of the same issues, but others expect changes on the horizon. While an assortment of illegal grow sites were busted throughout Southeastern Ohio during my youth, the first place I thought of when I heard marijuana was Amsterdam. (Being a child of the 1980s, I also think of the Van Halen song). Regardless of urban legend and folklore, the Netherlands, and more specifically Amsterdam, has not legalized widespread marijuana use- it just may not enforce its laws as stringently as some of its European neighbors. If you are wandering the streets in need of caffeine, just make sure you know what kind of “coffee shop” you wander into during your travels. The possession of marijuana in consumer quantities (up to 5 grams) will not be prosecuted in the Netherlands. So-called “coffee shops” with a permit are allowed to sell marijuana to consumers in said quantities and with certain restrictions (selling only to adults, no hard drugs, etc.). In the Netherlands, it is impermissible to grow marijuana on a commercial basis, but home growing in small quantities (up to 5 plants) will not be prosecuted. Smoking marijuana in the workplace is not allowed. In general, the use of marijuana will be treated the same as alcohol. Also, under social circumstances in connection with the workplace (such as a holiday party), it is also not acceptable to use marijuana. Use of marijuana or alcohol at the office is considered a serious case for dismissal of an employee. Other countries in Europe have followed a similar path. The Czech Republic passed medical marijuana legislation in 2013, decriminalized possession, and, in 2010, permitted its citizens to grow up to five plants. Spain is also a haven for cannabis users where marijuana possession has been decriminalized, but its manufacture and sale are still illegal. It is legal for medical use in some circumstances and personal use is a not a criminal offense. Growing plants, possessing any significant quantities or selling of marijuana is a criminal offense, however. Currently, marijuana is classified as an illegal drug in Germany. For example, Bavaria, one of the 16 states, tried to initiate a referendum to legalize marijuana in January 2016, but the Bavarian constitutional court refused it, since it would be contrary to federal law. One exception is for pain treatment, but it is still rather rare: in July 2014, a court declared it legal, for the first time, for final-stage patients to grow their own plants at home. In general, the German law is not as developed and there is substantial uncertainty (as compared to alcohol) when it comes to marijuana consumption and employment law. While there is a movement to legalize marijuana, it seems unlikely that anything will change in the near future. An employee in Germany can be terminated if he or she is under the influence of marijuana while at work. That can include instances where the employee consumed marijuana outside of the workplace, especially if it causes a safety issue (truck driver etc. ), but a drug screening reveals the use. In Germany, employment is usually not “at-will” and a certain procedure, including a notice before termination, needs to be followed, except in extraordinary dismissals. There are several kinds of these dismissals, including those due to misconduct (e.g. consumption at work) and for personal reasons (medically recognized addiction) that may not count as a terminable offense. In fact, an employee who consumes marijuana at work without it affecting his or her ability to perform job duties is generally not sufficient for a termination. 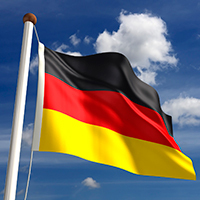 German companies must fully understand the context in which employee has used marijuana and provide sufficient notice of workplace violations if they want to survive judicial scrutiny. Therefore, the employer should issue a written warning and, only after that, can terminate the employment relationship should the employee be caught again. Brazil, Mexico, Argentina, Chile and Ecuador have decriminalized to varying degrees possession and personal marijuana use. In Colombia, possession of less than 20 grams of marijuana for personal use is decriminalized. In December 2015, Colombian President Juan Manuel Santos signed a decree legalizing and regulating medical marijuana and announced it would be fully legal to grow, process, import and export cannabis and its derivatives for medical and scientific use. At present in Ecuador, there is no law, bill or amendment regarding the legalization or decriminalization of marijuana use or possession and the outlook for change is very low because President Correa ordered the decrease in the amount of marijuana a person could possess. In the last semester. Most notably, the first and only country in the world to fully legalize marijuana is Uruguay. In December 2013, Uruguay passed the first countrywide law legalizing marijuana in the “Cannabis Regulation Main Act.” In May 2014, Uruguay became the first country ever to legalize the sale of marijuana. However, Uruguay’s law forbids employees to smoke, keep ignited, use or take cannabis products or production that contain cannabis during work hours. It also forbids employees to work in their capacities if affected by the smoking of cannabis. This has been criticized by experts because the law does not forbid going to work after smoking cannabis; it simply forbids doing so when the worker’s capacity is affected (and it does not specify in what degree the worker’s capacity has to be affected – i.e. impairment). Experts agree that legislators should have forbidden the use of cannabis before going to work, just as they forbid the use of cannabis before driving. The law also requires employees to remain under control during working hours. If the employee is determined to be under the influence of cannabis, the worker must stop working. And if the employer decides so, the employee must leave the workplace. But, the law establishes that the employer cannot sanction the employee for consuming cannabis if he or she did not commit any other specific misconduct. There have been several cases taken to court in Uruguay. In these cases, the employees were found to be using marijuana and the court understood that this could be considered misconduct – an offense for which the employer could dismiss them without offering severance pay. However, other decisions assert that if the employee is found using marijuana and it is proven that the employee is being treated in a medical institution for addiction to drugs, then the employer cannot dismiss him or her without offering severance pay, because it would otherwise be a dismissal based on discrimination (because of the sickness of the employee). 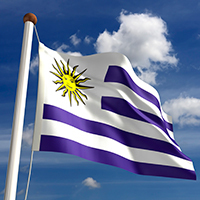 The International Narcotics Control Board, the independent and quasi-judicial monitoring body for the implementation of the United Nations international drug control conventions, has publicly announced its criticism on Uruguay’s law both before and after it was officially passed. Similar to the United States, marijuana is illegal under Canadian federal law and no provincial law has tested that authority (that I’m aware of). However, the new federal government was elected on a promise to legalize the sale and possession of marijuana for personal use and our counsel in Canada is awaiting draft legislation. Marijuana, along with other legal drugs, has not been legalized in Mexico. There is a minimum amount allowed for personal use that has been decriminalized, but it remains largely a prohibited substance to grow, transport, commercialize, and use outside of medical purposes. A recent resolution from the Supreme Court of Justice in Mexico allowed four individuals to use marijuana for recreational purposes, declaring unconstitutional certain provisions of the Federal Health Law. However, this resolution is only applicable to those individuals who pursued the action and its effects cannot be extended to other individuals or organizations. It is expected that other individuals and organizations will try to follow the same path. This scenario has created such pressure on Mexico’s federal government that a nationwide discussion is being called for in 2016 regarding the potential legalization of marijuana. The foreseeable future is that it will be very difficult to see a federal statute come from the Mexican Congress for full legalization of marijuana, but it may take a more flexible approach on its decriminalization and the terms and conditions for recreational use. For now, the use/abuse of marijuana is prohibited under Mexican federal labor law. Specifically, the law provides that employees cannot show up to work under the influence of alcohol and/or drugs, unless there is a medical prescription. This will remain the legal framework in Mexican workplaces until new federal legislation is enacted. Currently, employers can reject an employee who shows up to work under the influence of marijuana and any use or abuse of this drug in the workplace can be sufficient grounds to terminate for cause the employment relationship. 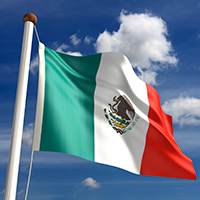 Our partner firm in Mexico believes that labor law could change quickly if new legislation is passed to decriminalize the use of marijuana or if personal and medical use laws are further eroded. However, based on health and safety regulations in certain types of industries, employers may still be able to maintain a drug-free workplace in support of a greater good – i.e. maintaining a healthy and safe work environment for all employees. The discussion taking place in Mexico in connection with the legalization of marijuana will most likely bring changes in federal and local legislation. The impact on businesses in Mexico may come from different angles, including regulatory, health, agro-business, antitrust, labor, and industrial property, among others. What’s Next for Weed Worldwide? The United Nations General Assembly Special Session on Drugs (UNGASS) is set for April 19-21, 2016, at the UN Headquarters in New York. Many around the world hope that this discussion bears fruit and countries will act in unison to address the societal issues that stem not only from drug use and abuse, but also from drug trafficking across borders. Stop criminalizing people for drug use and possession – and stop imposing “compulsory treatment” on people whose only offense is drug use or possession. Focus on reducing the power of criminal organizations, as well as the violence and insecurity that result from their competition with both one another and the state. Rely on alternatives to incarceration for non-violent, low-level participants in illicit drug markets, such as farmers, couriers and others involved in the production, transport and sale of illicit drugs. While each of these policy positions is well reasoned, it will still be an uphill battle for universal acceptance worldwide. 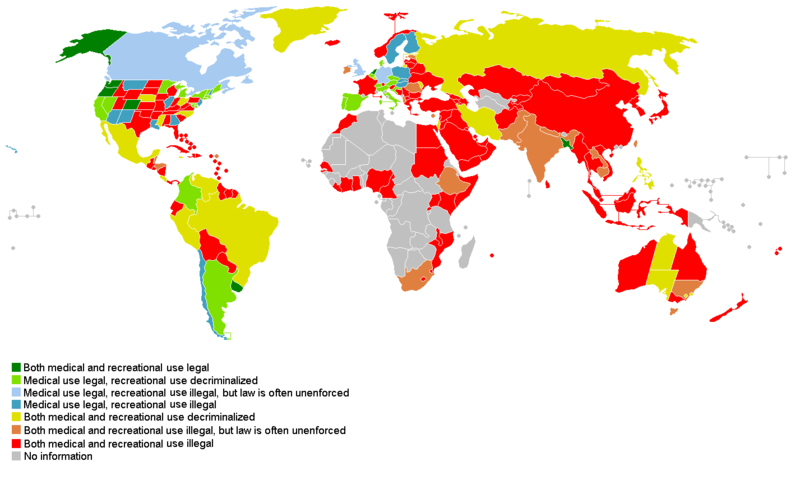 There are several countries that still have not taken steps to decriminalize cannabis possession/use and many others that have yet to permit medical marijuana. If your company doesn’t have this type of policy – get one. Have separate policies in place regarding alcohol and drug abuse (whether legal or illegal). If you have a policy, but have not adapted it to encompass a global policy for legal purposes – do it relatively soon. 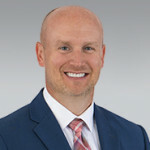 A comprehensive view on the legal impact of these changes from multi-disciplinary practices in full-service laws firms will bring value to those national and multinational companies operating in several different countries around the globe (an ounce of prevention is worth a pound of cure). Not only has Ohio decriminalized small amounts of marijuana use and possession, but our state is also likely to become the 24 th state (or 27 th state, depending on whom you consult) to permit medical marijuana before the end of 2016. Read our next article to find out how! Many thanks to our SCG-Legal partner firms around the world who have contributed to this part of our series on marijuana in the workplace. And special thanks to Katja Garvey ([email protected]), an associate at Kegler Brown who was born and raised in Germany.